Sri Lanka has been a ‘banana republic,’ for quite some time, and clearly so throughout the oligarchy of the Rajapaksas. Formally, a banana republic is “a small country that is economically dependent on a single export commodity, such as bananas, and is typically governed by a dictator or the armed forces.” (http://www.thefreedictionary.com/banana+republic). But in our case, the fate of the citizenry is far worse than in most other banana republics. In Sri Lanka, all wisdom, action, dreams, hallucinations and the making of unmitigated profit came from the first family and then from its acolytes. They were essentially the centre of our universe as well as the structure that kept this universe in place in a very specific way. So, they were the ‘star’ rugger players of the nation; they were our ‘elite’ racing car drivers who made sure that lesser mortals had to stay locked up indoors until they raced around the city along public roads all night long; they produced the ‘ideal’ Navy officers of the nation who could command the naval force of the country as if it was their personal army; they provided the next generation of ‘astronauts’ seemingly dedicated to take their ideology to outer-space so that bigger-than-life-size cutouts of the father figure could be affixed on the moon right next to Neil Armstrong’s forgotten foot print; it was their wisdom that built public toilets, playgrounds, schools, traffic lights, airports, municipal drains, harbours, bus stands and what not, according to the ubiquitous plaques installed at these places. In this scheme of things, we allowed our country to transform from a faulty democracy to a fully functioning oligarchy with an omnipresent system of surveillance. We allowed it to become a fiefdom and a banana republic from a non-functioning-but-attmepting-to-function regular republic. In this context, like for many other sensible people I know, it was a relief to see the head of the oligarchy defeated in the presidential election in January 2015. From a distance, and without the right to vote, I admired the tireless work of disparate groups of people and individuals, some of whom I knew quite well, who tirelessly worked to ensure the emergence of what seemed like the end of an era. I was elated at the miscalculations of ‘royal’ astrologers and over-confident political pundits who also played a key role in making the change in January 2015 possible. And without much fanfare but with much expectations on the part of the people wanting change and the emergence of an era of ethics in politics, the new President and the newly-installed Government officially declared the beginning of ‘good governance’ through the dynamics of a ‘National Government.’ That was in January 2015. Now, in August 2015, where do we stand? Have we transgressed beyond the banana republic or have we established beyond doubts its inevitability? True, the seemingly sobering presence of Maithripala Sirisena and Ranil Wickremesinghe offered a breathing space that the country had not experienced in a very long time. That moment was necessary, if Sri Lanka was to entertain any notions of rebuilding its overly dismantled democratic principles and traditions. Very clearly, the public sphere was invigorated as a result. Open and critical debates on the country’s political climate ensued. But the challenges faced in getting the much-needed 19th Amendment passed in Parliament and the inability to get the crucial 20th Amendment approved, showed that the art of mature political compromise with the future of the country as the only consideration, was not within easy reach of our politicians. It simply did not manifest within their imagination. "As we move beyond August and horse-trading between political formations over the distribution of ministerial portfolios comes to an end, a new government will ultimately take shape. Whether its shape would be decided by issues such as ethics, justice and national interests or political expediency and personal survival of political power players remains to be seen. And it would be ‘seen’ even though many of our franchise-wielding voters unfortunately would not recognise it. 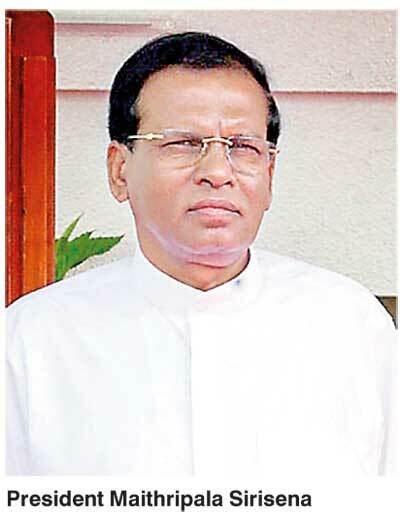 Weather justice and war against corruption would be a reality or a convenient set of slogans used during elections and discarded soon after, also remains to be seen"
In the post-January 2015 power equation, the much anticipated process of justice and investigations into corruption of the oligarchy suddenly seemed to stall even though this is what brought the people who ensured Sirisena’s victory together. From a distance, it seemed to me that at the ground level, the pragmatic space between people’s legitimate expectation for justice and ethics on one hand, and the Government’s necessity to stabilise itself in an environment of political hostility and intrigue on the other, was not readily appreciated by people at the time. Or more accurately, they did not want to let go of the breathing space they had carved out amidst immense difficulties. The voting pattern in the August 2015 general election, offering power – though not by a great margin – to the same equation that came to prominence in January, further indicates this continuing hope. But post-January politics also indicated other disturbing trends, which continue well into the present. It appeared that the President was a man with no political friends. He did not seem to have any control over crucial political decisions that the Government was making including foreign policy, and appeared to be in a situation of political limbo. He spelt out some of these difficulties and his thoughts on these issues in a televised address to citizens, which further entrenched with much clarity his thinking and what was possible within the UNP-led government as well as in his own party. Within his own political formation, much of the difficulties the President experienced were due to the SLFP and UPFA being dominated by individuals across the political landscape of these entities whose loyalty is to the oligarchy and to the former president. And the Patriarch of the oligarchy and his band of not-so-merry men refused to leave the political arena. In this context, the President assuming the duties as Chairman of the SLFP effectively meant nothing other than making very clear his own lack of ability to manoeuvre in the dark and treacherous alleys of power struggle that the SLFP and the UPFA are now going through. Given his lack of control and inability to act decisively to clean up his own party due to stated fears of bifurcating the party and the coalition into pro and anti-oligarchy segments, the SLFP showed clear signs of working like a drug cartel more typical of the bad lands of Mexico and Columbia than a political party responsive to the electorate. Rajapaksa chaired many of these decision-making meetings in much the same way as drug kingpins in South and Central America did with their cartels. As such, despite the rhetoric of the sovereignty of the nation and other seemingly lofty ideals emanating from the pro-oligarchy bandwagon, the entire nomination process of the SLFP and the UPFA was a matter of criminal and dubious elements within these entities being nominated to contest the August 2015 elections to ensure their own political and personal survival. The process that made this possible was completely deaf to the very vocal discourse against corruption, political violence and the clamour for ethics in politics that was consistently articulated by concerned groups and the media. The UNP, in this context, was able to come off as the better of the two necessary evils in a country where a viable third option does not exist. When the elections were actually held, many of these criminal elements from the SLFP-UPFA combination were not only re-elected to Parliament by the people, but re-elected with significant majorities in many cases. Not only that, similarly dubious characters from the UNP albeit the fact that that they have not held State power for nearly two decades were also elected to Parliament. So despite the expectations of justice, we can also see that a very large segment of our population is so incredibly illiterate in political terms. They seem singularly incapable of voting on principles and by taking into account established track records of individual politicians. The people who voted for the UPFA in large numbers also displayed their inability to see beyond divisive tribalist politics that the oligarchy-led UPFA spearheaded during the parliamentary election. It is this lack of political maturity that failed to bring in more reasonable individuals to Parliament though there was some choice. It is this lack of political literacy that ensured the relative failure of the JVP campaign despite its program based on ethics and integrity. Even though some commentators have noted the defeat of extremist elements such as the BBS in the election, this is only a partial understanding. True, the political arm of the BBS, the BJP, lost heavily in the election. But the positions this entity entertained were also very squarely represented in the pro-oligarchy campaign. Of the 95 seats that the UPFA won, at least 60 are claimed to be in support of oligarchic politics and therefore the political virulence it represented. And now, after the results of the election have been declared, the National List of the SLFP has been re-formulated to bring back to Parliament some of the worst enemies of democracy and decency, such as S.B. Dissanayake, though they have been clearly rejected by the electorate. The argument of course is that they ‘lost’ because they ‘supported’ the President. If they supported the President on principled grounds and lost, that should have been accepted, and they should have gracefully left politics. If they supported him for personal survival and lost, why should the people who voted them out be affronted by their re-induction into parliament by legal but dubious means? This action, more than his relative inability to act decisively prior to the Parliamentary poll, has seriously dented the President’s credibility as a leader who is guided by ethics. Obviously, he has shown that he can be more easily moved by political expediency. It also does not help that he publically offered the recently retired cricketer, Kumar Sangakkara, the position of High Commissioner to London, a typical act of the kind of patronage politics that have come to define the thinking of our politicians. Her experience in politics notwithstanding, the Prime Minister offering the same post to Rosy Senanayake a few days earlier can also be considered an act in the same vein. What a sad story of the idea of good governance and what a sad understanding of how the country’s Foreign Service should look like! To her credit, Senanayake is reported to have turned down the offer in the name of serving the causes she has committed herself to. One hopes that Sangakkara would exercise the common sense and decency he has exhibited as a sportsman and not accept this crude political appointment. So we have had two elections at incredible cost to the country within seven months. We have indicated our hopes and aspirations for change and justice. We have also fairly loudly indicated our political immaturity by re-electing individuals to Parliament despite their established track records of wrong-doing. As we move beyond August and horse-trading between political formations over the distribution of ministerial portfolios comes to an end, a new government will ultimately take shape. Whether its shape would be decided by issues such as ethics, justice and national interests or political expediency and personal survival of political power players remains to be seen. And it would be ‘seen’ even though many of our franchise-wielding voters unfortunately would not recognise it. Weather justice and war against corruption would be a reality or a convenient set of slogans used during elections and discarded soon after, also remains to be seen. Until our circumstances radically change with the emergence of political leaders guided by ethics and not by self-interest, it will not be possible for us to come into an era of civility in politics. Until that happens, our continued and inevitable imprisonment in the banana republic seems self-evident. That seems to be our karma – for the moment.